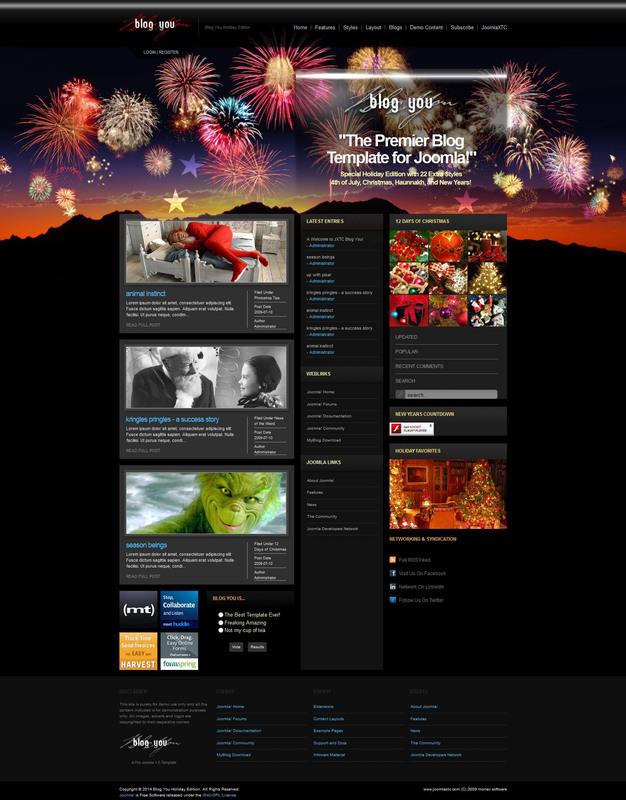 JXTC Blog You Holiday - second version of the template JoomlaXTC Blog You studio JoomlaXTC. Subject template - holidays, so the template is perfect for creating a New Year's website. Flexible modular design contains more than 19 module positions, 160 classes and 12 beautiful color styles template. Furthermore, Blog You Holiday multikolonochnoy based on the structure and compatible with JomSocial, MyBlog, Kunena, Eventlist.